Isn’t it wonderful to find the perfect employee? That person who stays with you for years, does an amazing job every day and who respects and values your business? Unfortunately for pet professionals everywhere for each one perfect employee you find, you’ll unearth 20 nightmare employees. These are the people who don’t respect you, are just skating through until they find their “real job” and create drama around every corner. These types of people are toxic. 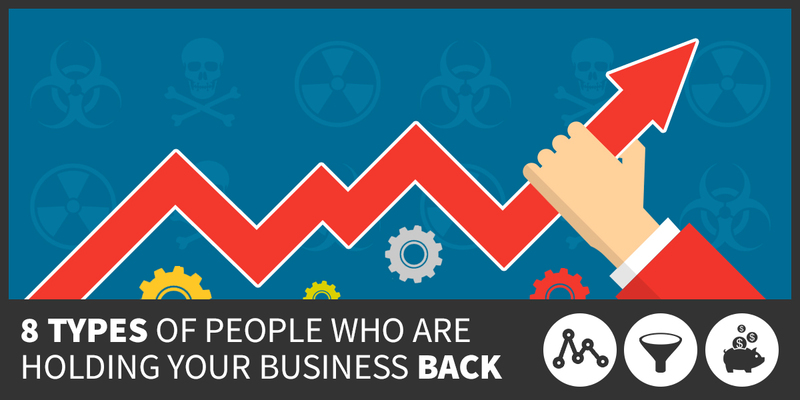 They will poison your work environment, other employees and ultimately your business. Not every employee causing a rift may be toxic. They may be going through a difficult time, or be creating problems without even realizing it. Toxic people on the other hand, are problematic to their core. They have selfish motives and are only thinking of themselves in the long run. Here are 8 of the most problematic toxic personalities and the traits you should look out for in your next interview. Not matter what happens this person always has something to complain about. These types of people are always sassy, angry, resentful and untrusting, even when things seem to be going their way. These people are impossible to please, and unfortunately their negativity is highly contagious. Their negativity can spread to their leaders, fellow employees, clients, vendors and anyone else who comes in contact with them. There’s nothing wrong with a little friendly competition among employees. It can help to make mundane activities fun, and keep employees motivated during dry spells. That is unless you have a 1-upper. They always have something better, nicer, newer, more of it, and they let other employees know. They are nearly incapable of smiling and saying good job to a fellow employee. They have to gloat about what they have, give a backwards compliment and put down the accomplishments of others. This is the person who likes to create drama, then sit back and watch everything unfold as a seemingly innocent bystander. Their weapon of choice – office gossip. They may hear something personal about an employee and instead of forgetting what they heard, they actively seek out ways to use that information to create drama. More often than not these types of toxic people feel they’re not to blame for conflicts, but don’t buy it! These are the people who refuse to follow the rules. They either don’t like them or they’re just too hard-headed to go along with them. Regardless of why they choose not to follow the rules, these types of toxic people can create dangerous situations such as not following safety protocol, but they can also create internal rifts in your company and cause tension. If a renegade doesn’t have to follow the rules, what’s stopping other employees from not following the rules as well? What makes the renegade so special that they can undermine the rules? Ready To Shift Your Marketing? You can build your dream business without spending a fortune on marketing! Click below to download your free copy of The Top 15 of 2015 and discover how you can make this your best year ever! What’s stopping you? Employee confidence can make your business flourish in amazing ways. Employee arrogance can make you resent your business and want to go back to grad school. Arrogant people feel they’re superior to others. Confident people support and celebrate group success and the success of others. Arrogant people become envious, or disregard those achievements because it upsets their ego. As humans we pass judgement on others, even when we know it’s wrong. But this type of toxic person takes it to a whole other level. They’re always the first to jump to conclusions and rarely wait to gather all the information or give anyone the benefit of the doubt. These types of people are incredibly stubborn, tend to be poor listeners and usually unwilling to try and change their ways. This type of toxic person doesn’t care about your learning style, customer feedback or new ideas. They only care about doing things the right way, the only way, their way. Even when the boss says the task can be dealt with however it makes sense, this toxic person will swoop in and tell other employees how they’re doing it wrong, again. Controlling people sometimes have good intentions, but more often than not, it’s just a way to disguise their need for power over others. No matter what happens, it’s never this toxic person’s fault. If they missed an appointment or slipped up, they’ll somehow figure out a way that it isn’t their fault instead of just taking responsibility. Even the smallest, whoopsie-daisy moments lead to some lame excuse. It may be ego, it may be attention seeking, but whatever their motives are – this attitude can be extremely detrimental to your business. The person who forgets what you just told them or protocols in place even though you repeated it. How can I prescreen applicants to reveal these 8 toxic types of people to avoid? The buzzword of XQ is being evaluated by many corporations now. See Time Magazine June 2015 issue.